A Basic Service has been assisting families in the Toronto area since 1993. If you are at the time of need or ready to make arrangements for yourself or someone else, the following resources will help guide you through this difficult time. 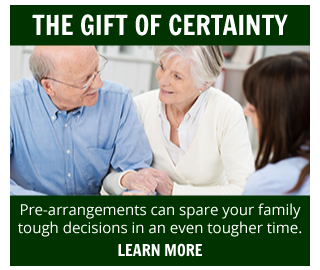 After a family member dies who to call first is dependent upon the circumstances of the death. If the death occurred in a hospital or care facility the staff will usually take care of some of the arrangements such as contacting your preferred director and, perhaps organizing an autopsy. You or a designated family member will need to begin notifying others. We recommend placing a few calls to close relatives or friends first—ask each of them to make a few calls to specific people. Hopefully this will help take some of the burden off your shoulders. If you are facing this situation on your own do not hesitate to ask a friend or neighbour for support. If the person was employed you'll need to contact his or her employer immediately to notify them of their death. At some point you should inquire about pay, benefits and which is owed to them. This is also the time to ask about benefits coverage and life insurance policies. Call the agent or company and ask how to file a claim. It is usually a requirement that the beneficiary completes the claim and associated paperwork. A copy of the Proof of Death certificate and a claimants' statement to establish proof of claim will be required. Before we go any further, let us take a moment to say we are sorry for your loss. If you are the family member responsible for carrying out their wishes please do not hesitate to speak with one of our directors at your earliest convenience. 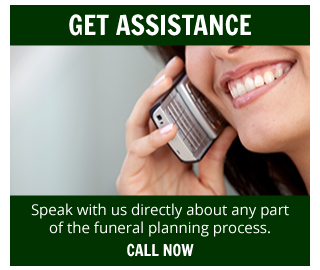 We will be able help you see your way through all of the necessary arrangements. When you feel you are ready, meet with the director to start planning the final arrangements—often called "the arrangements conference". We recommend making an appointment ahead of time. You have the right to receive compassionate service before, during and after any chosen arrangement and to be served without pressure. At A Basic Service we promise our staff will do the utmost to make this difficult time as stress-free as possible. It is always sensible to bring a friend, relative or neighbour with you for moral support as the meetings cover a lot of information irrespective of the type of service – burial or cremation – sought. Who Makes the Final Arrangements? It is important to establish who is legally responsible for making the decisions. Usually the deceased will have designated this person through a Last Will and Testament. The designate will be responsible for signing contracts and documents as well as undertaking financial responsibility. No matter who is responsible it is essential that all parties involved get a chance to voice their opinions.